Official Landing Page Guide: We answer the question, What is a Landing Page? Plus, the best examples of landing pages, and how to build, create, and launch your business’ landing page to convert more leads and customers. What is a Landing Page (Best Examples) and How to Create Your Own High-Converting Landing Pages. What is a landing page? How can you create/build a landing page that has a high-conversion rate from customer leads? Want to increase your conversion rates by 5x, 10x, or more? Vail Networks can help with your landing page optimization and conversions. landing page optimization and conversion guide. Top-performing are works of art. They’re masterfully designed to speak directly to a target audience, quickly show the benefits of a product/service, and ultimately, be so compelling that the reader can’t help but make a purchase. Of course, that’s no easy process. Conversion rate optimization for landing pages can take years of experience to master. Fortunately, you’ve got us to help. In short, this official guide on creating and building landing pages will help you turn an average-performing landing page into a conversion magnet. You’ve probably heard of the term “landing page.” And marketers tell you they’re critical to your business. But what exactly is a landing page, you ask? A stand-alone page on your website that potential customers land on when clicking an advertisement or call-to-action. Most commonly, businesses link to landing pages from Google Adwords ads, Facebook and social media ads, or email copy. Here is one of the best examples of a great landing page design. So what makes this landing page so well-designed? Clear call-to-action. There’s a clear “call-to-action.” The button “Try Free” is front and center for the users to click. The button is also placed above the fold and at eye level. Product/Service clarity. Within 5 seconds or less of landing on this website, you get an immediate sense of what this product is and how it might affect your business. Top-Notch Design UI/UX. The colors are simple, non-distracting, and inviting. We prefer cool, warm colors that provide seeming comfort for users. For businesses, landing pages have a specific goal: to generate leads or to educate potential customers about a product/service. Because these pages are so singularly focused, they typically aren’t listed on Google; you won’t try to rank a landing page with traditional SEO strategies. Instead, your goal will be to send highly targeted traffic to the landing page, e.g. people who have shown interest in a product/service that you are advertising. And landing pages are often tied to PPC ads, social media ads or a paid content campaign. Pro SEO Tip: Landing pages should eliminate all distracting elements, like links and navigation. They should be laser-focused encouraging customers to take a specific action, whether that means completing a form or buying a product. We are providing two more examples of the best landing pages in two different, unrelated industries to demonstrate what makes these pages so effective in converting leads into customers. Notice that there is a consistent them in how and why these landing pages can convert leads into paid customers. The next landing page design is from a gym/fitness company. Clear call-to-action. Yes, it’s clear what the purpose of this landing page is, i.e. to “Choose Your Location” so that they gym can connect the customer to the most convenient location. Product/Service clarity. Within a moment of landing on this page, you can see a woman exercising. She’s pulling a rope and driving your eye attention to the button (Call-to-Action “CTA”) location. Excellent Design UI/UX. We love the use of red colors for landing pages. In fact, this is one of our favorite simple landing pages because of three reasons: (1) the company removed the navigation links to simplify the landing page’s structure, (2) the woman’s eye line is pointed towards the headline and the CTA button, and (3) the dark colors of red are accentuated by the white light coming through the windows. Overall, the design is superb. Landing Page Conversion Tip: this landing page is clear, concise, and succinct. After all, we all know just how important going to the gym is, so why not just get to what kind of deal this company can offer us? top landing page design examples. Remember, the key here to ask yourself as to whether this landing page would successfully convert customer: do they immediately convey the who, what, where, when, why and how of landing pages in order for the customer to trust giving his or her information to the business? Clear call-to-action. 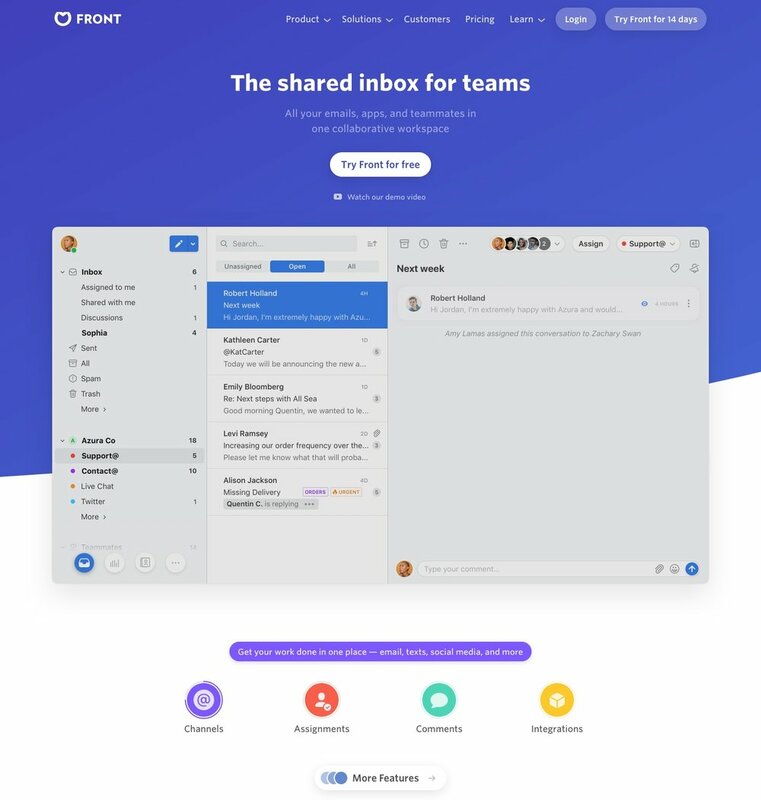 The H1 header on this landing page is purposeful and demonstrates exactly why you should “Request a Demo.” We also like the fact that this company keeps the buttons unified, meaning they don’t change the CTA throughout. This simplified button will help you convert customers, as there’s clarity for what’s next. Product/Service clarity. Within just a moment you will notice that this website is about growing - “scaling” - the business with more profitable ad spending. Your landing page should also exemplify exactly what your company is offering customers. Excellent Design UI/UX. We love the warm, inviting, and simple color choices. Green = Go in terms of colors, and it looks like the featured character is scaling a lever up and down. The only thing we would recommend to make this landing page that much better would be to feature a human versus a character or cartoon. By featuring a real-person, you typically can increase your website landing page conversions by 35 to 40%. In general, landing pages are an extension of an advertising or marketing campaign. Your ad is designed to create initial interest and curiosity. But when people click-through the landing page, that’s where the hard work is done. Your page can help to turn these stone-cold leads into customers. Sometimes called click-through landing pages, jump pages are information in nature. Their goal is to warm-up a visitor to the product/service and provide enough information to help a customer prepare to purchase. Pro Tip: Video and strong visuals are effective tools for communicating the value of a product on a jump page. Lead generation pages are designed to capture leads like an email address or phone number. These pages are designed to get customers into a business’s lead funnel. Landing Page Conversion Tip: Incentivizing your call-to-action – e.g. offering a free ebook or case study – will increase opt-in rates on landing pages. What are the most important elements how to create and build a successful landing page that converts leads into customers? How should you design your landing page? By studying successful landing pages, you’ll to notice some common elements. Every landing page, for example, includes a strong headline, persuasive copy, and a compelling call-to-action. These are recurring themes that turn your landing pages into new sales and revenue streams. The headline can make or break your landing page. Successful pages utilize strong, benefit-rich headlines that concisely explain a key benefit of your product or service. Take a look at the following landing page, and notice how clear the headline (H1) are and what simple message it conveys. Your sub-headline or secondary header adds what you’ve said in your headline, and draws the reader further into the page. Successful sub-headers (H2 tags) spark curiosity, show clear benefits, and build interest. how to write the best headlines and sub-headers for your landing pages. Landing Page Conversion Tip: Use a knowledge gap in your subhead. A knowledge gap sparks a question or introduces new information that draws people further into the page. Great pages use clear, compelling and concise copy. Trim all fat off your copy and try to use as few words as possible to get your message across. Benefit blocks, product introductions and sections that cover what problem you solve are common content sections on landing pages. 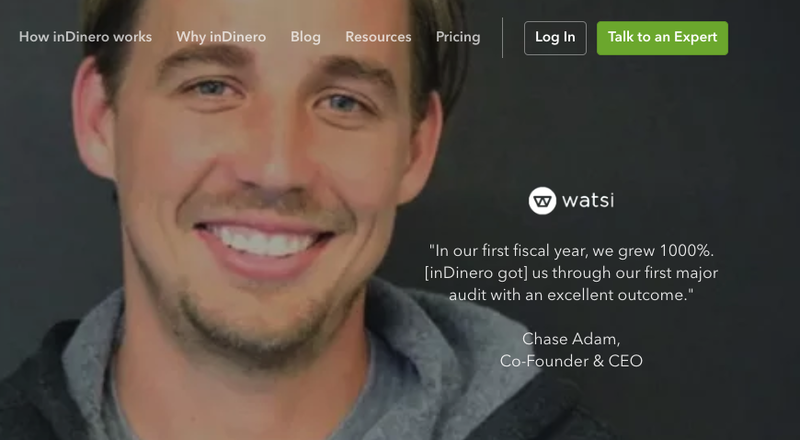 On the following landing page from a company called InDinero, which is the best bookkeeping and accounting platform in America, you will notice several important things that they do to help drive leads into customer conversions. best landing pages examples reviewed. best landing page examples: How to write great content for landing pages. A call-to-action for your landing page is the specific action you want users to take on a page. On a Lead Generation page, that’s sign up with an email; on a click-through page, the goal is to click-through for more information. Your landing page CTA should be clear, concise, and create interest from your prospective lead. best call-to-action (CTA) for landing pages. Vibrant, compelling product photos, videos, and other multimedia will make your landing page convert better. Utilize the best photos you have of a product and use graphic elements (arrows, bullet points, etc.) to draw the readers’ eye to key messages. 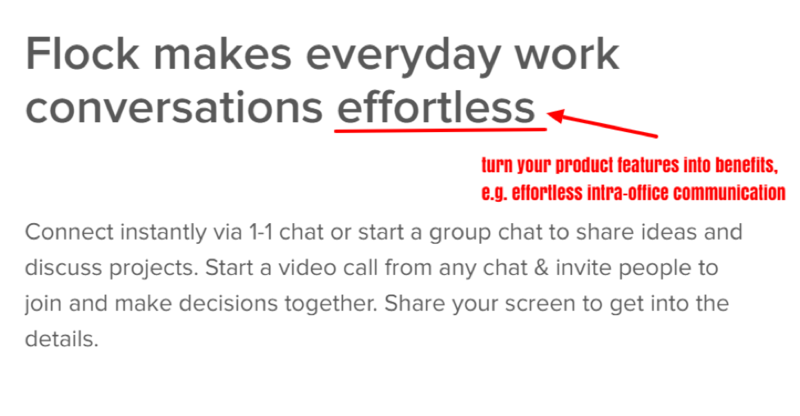 where to place your call-to-action and/or button on landing page. Proof on your landing page refers to any evidence that shows your product or service’s quality. Testimonials, reviews, statistics and client logos are all examples of effective social proof. examples of landing pages with social proof. The lead capture form should be easy-to-use and it should be brief. Typically, streamlined forms work best. Include fewer boxes and ask for the right information. By the way, this is where conversion optimization testing helps you. Check out Vail Networks’ top SEO tools and resources to help you build your lead forms. Below you will see a great example from our favorite social media sharing platform - Buffer - of how a simple lead form can be high-converting for your business. Example of a great Landing page with signup form. And here’s another example of a simple, easy-to-use lead capture form and process that Homelight - a platform to find a real estate agent - uses to capture real estate and realty leads. excellent example of lead form and capture page. Landing Page Conversion Tip: Incentivize your lead capture form. Ebooks, promotional offers, how to guides, checklists and product guides are some of the most effective resources to entice people to opt-in. Bonus: Whatever style you use on your landing page, be sure to make the forms easy-to-use and no more than two fields if you want to have a better chance of converting new leads into customers. In other words, clearing defining goals, the audience, and the message greatly simplifies landing page design. Not to mention, it greatly improves conversion rates. Best Call-to-Action Landing Page buttons and signup Forms. The best landing pages are designed to get users to complete a single task. All the elements on the page are designed to help readers complete that task. When you have a clear goal in mind – e.g. increase email signups – you can write and design your copy more effectively to help users achieve that goal. An effective tip for landing page writing: Start with a customer pain point. For example, your solution might be helping advertisers manage their marketing campaigns. Then, use your landing page to show how your product/service solves that problem. Best landing page examples: content and calls-to-actions. best headlines for landing pages. Your unique selling proposition (“USP”) is what differentiates you from competitors and shows readers why you’re the best. Identify your USP early. This is one message that should stand out clear as day on your landing pages. Sub-headers (H2, and H3) that show the benefits of your product, directly on the landing page. Simple, clean, “call-to-action” buttons and forms that convert more leads from your landing page. how to optimize landing pages. For longer jump pages, your message will be multi-faceted. When you have a longer message to tell on your page, develop a hierarchy, stating the most important parts of the message first. Landing pages convert more leads when you carry your theme and message from top to bottom of the page. Keep adding relevant content to your landing pages until you have demonstrated the full benefits of your products and services. Pro Conversion Landing Page Tip: Use customer questions to develop a stronger hierarchy. On a jump page, the most important message is a concise and compelling introduction to your product – the what. Use the rest of the page to state the how and why. Effective landing pages start with compelling ads. Your ad should have a message that draws people into the page. But once they’ve click-through, the experience must be consistent. Use similar messaging, branding and visuals to keep it consistent. In the industry, you might hear this called “conversion scent.” Your ad is the aroma from the bakery that draws people in the door; your landing page is the sales pitch once people are inside. how to Convert leads from landing pages. Take Away: High-conversion landing pages start with great planning. First, identify your audience and their pain points. Then, build your messaging to speak directly to the target audience. Finally, fine-tune the ad-to-landing-page pipeline to ensure a consistent experience and seamless transition for readers. After planning, you’ll have your USP and content hierarchy determined. And now it’s time to put that messaging to use on the page. Writing landing pages isn’t easy. But it can make or break a landing page. If your copy doesn’t speak to readers, you’ll experience high bounce rates and low conversions. If the copy doesn’t do a great job of selling, you might have low bounce rates, but also low conversions. But writing landing page copy isn’t easy. For one, you’ll want to be as persuasive as possible, without being over-the-top. And you’ll want to do this in as few words as possible. Want a little help to get started? 1. Write Awesome Headlines for Your Landing Pages. Write landing page headlines that convey urgency and value-add. As you will notice from this landing page above, there’s a clear benefit for users in that today’s offer is better than what tomorrow’s will be. In other words, not only does this landing page create a sense of urgency, but it also provides a value-add to the customer’s life. Landing Page Conversion Tips: With a promotional offer, use urgency signals “Limited Time” or “Today Only” to increase actions on the page. The team at Vail Networks is constantly optimizing and generating landing pages for clients with several goals in mind. But one of our main goals in making sure we have built landing pages that convert is to answer the question, “are we creating curiosity that will convert a lead into a customer?” Thinking like this helps us know exactly what it will take to convert customers into clients. You should do the same: always generate curiosity and intrigue for your leads. Don’t spill everything in one page. Landing Page Conversion Tip: Spark curiosity; make readers want to keep reading with a knowledge gap. The above example is perfect; you can’t help but want to see how that’s possible. headlines that work on landing pages. Landing Page Conversion Tip: Speak directly to the problem you’re helping potential customers solve. The subhead line adds to your headline, highlighting new benefits, answer key questions, and providing more bread crumbs to draw visitors into the page. The best sub-header should clearly define what you do and how you can help. how to write copy and text that converts leads into customers. Effective copy on the page clearly states what it is, how you help, and the benefits of using your product. landing pages: best designs reviewed. The CTA is also one of the most important text elements on the page. A weak CTA will result in lower conversion rates. To make your CTAs more effective, be very specific. Explain exactly what the user can expect if he fills out a form or submits an email. Landing Page Conversion Tip: You can use simple, short supporting statements and content on your landing page to help show the value of clicking. Power words are words that show value or generate desire. Adding power words to your copy can make it instantly better. Don’t feel like you have to do it all by yourself. Study (and adapt) the best examples of landing pages from above on this page. Remember: Benefits, not features. Show how your products will change customers lives; not why a feature is super cool. Testimonials and reviews are an effective way to show your USP and the problem you can help people solve. They work anywhere on the page; you can use a short testimonial in the headline or use full reviews in the copy. The design of your landing page matters quite a bit. A misplaced CTA, for example, can seriously deter conversions. Or if you’ve got to many distracting links, you’ll drive readers away before they’ve had a chance to complete your action. With copywriting, you want to be concise and to-the-point. Do that with your design, as well. Eliminate any unnecessary links, remove any non-essential elements on the page, and design around your core goal. All of your design decisions should point readers to taking a specific action. Landing Page Conversion Tip: Don’t make users think. Conversion problems are often caused by too much clutter or not enough focus. landing page design and development tips. Placement of your CTA can have a significant impact on conversion rates. Ask your customers to sign up too early, and you might lose them. Ask too late, and customers may have already clicked away. Here’s a general rule: The more complex your product or offer, the lower on the page you can position that offer. A simple offer, e.g. newsletter signup requiring just an email, can typically sit higher on the page. Jump pages tend to place CTAs lower on the page, so the page can “warm-up” customers. The headline should be a focal point on the page; this helps it to draw attention. Be sure there aren’t compelling elements nearby, or that you’ve made a headline that’s hard to read on a colorful background. best landing page design strategy. Landing page designs: best tips for your brand strategy. social proof and testimonials on landing pages. Social proof is a powerful tool to show value, quality and trustworthiness. That’s why no matter what it should be clearly and prominently placed. Make the social proof on your landing page bold and big to help them stand out. Interesting Fact: Customers are 40 to 50% more likely to click on your CTA when you have at least three social proof statements on your landing page. One serious design flaw that can decrease conversion rates is a muddled CTA or opt-in form experience. It should be clear, bold and contrasted, and you can use arrows and supporting statements to help make the action clearer. Aside from the headline, the CTA should be another key focal point on the page. Readers should naturally be draw to the CTA button or opt-in form. best button for landing pages. Marketers sometimes get greedy on landing pages. They want to collect as much information as possible to help qualify the best leads. The problem: When your form because a source of friction, you’ll experience higher abandonment rates. For a more user-friendly experience, keep boxes to a minimum, and if you use drop-down menus, keep lists succinct. If you do need to use a longer-form, create a hierarchy; place easier-to-complete items higher on the form. You’ve created the perfect landing page that’s complements your ads. Now, you just need to bid on keywords and watch the dollars roll in, right? Unfortunately, that’s not usually the case. Even if you get it close the first time, you can continue to optimize and refine to squeeze more conversions out of your landing pages. That’s where testing comes in. You should be conducting tests before and after you run the campaign. Before, you might try the 5-second test, which will help you quickly determine the effectiveness of your messaging. Run this test before your landing page goes live. Here’s how it works: You show your landing page to someone who’s never seen it before for five seconds. In those five seconds, they should be able to identify: What your product is, who it can help, and your USP. Continue to run the test and refine until the ad is perfectly dialed in. Pro SEO Tip: You can conduct these tests casually. Or use an online tool like Userbrain. Headline/Subhead – Try a few variations, each targeting another selling point. Headline A might show a big benefit, while Headline B might be a to-the-point statement about what your product does. Incentives – If you’re using an incentive to encourage email opt-ins, test variations. You might use a case study, a checklist or newsletter offer to see which generates the most interest. Colors – Test colors on various aspects of the page. You might try different CTA colors, use different text colors, or try a different branded element color. Hero Images – Try different hero images and media. A high-def product photo might not perform as well as a short intro video. Test variations to see which drives the higher conversion rates. Bounce Rate: This is the percentage of visitors that land on your page and click away. This can signal an ineffective landing page experience, e.g. a weak CTA, slow load times, or an offer that’s not compelling. Average Session Time – This shows you how long customers spend on the page. If you’re running a jump page, this will quickly show that people are reading your page and wanting to learn more. Form Abandonment – This metric shows if your form isn’t working. It may be that the form isn’t user friendly, or your offer isn’t compelling enough. Cost-Per-Conversion – Use this metric to determine if your campaign is on-budget. This takes into account the amount your paying on PPC ads, and determines how much of your advertising turns into a conversion. Great landing pages can be thrown off track by poor display and search ads. If you’re landing page isn’t receiving the traffic you need, the problem might be your advertisements. Consider increasing your bids for more landing page impressions. Or adjust your advertisements to be more compelling. How to Start Getting More Conversions from Your Landing Pages, Right Now. Landing pages can transform your business, helping you generate high-quality leads and targeted interest in your products/service. But not all landing pages are created equal. You can waste a lot of money driving traffic to a poor-performing page. Fortunately, these tips will help you avoid many of the problems of low-converting landing pages. These conversion and landing page design tips are designed to help you: A) keep people on your pages, B) generate interest in your offer, and C) encourage them to take action. Bottom line, use these tips to make every landing page you create convert more visitors into customers. 1.) If you need help with building and creating your own landing pages that convert leads into customers, contact the Vail Networks digital marketing team today. 2.) We highly recommend that you also read our other articles to give your more insight on how you can generate more revenue with the proper optimization strategies, notably: How to Rank #1 on Google Search and How to Get More YouTube Subscribers and Views.